Say Goodbye to Chipmunk Cheeks! | Thomas Taylor, M.D. 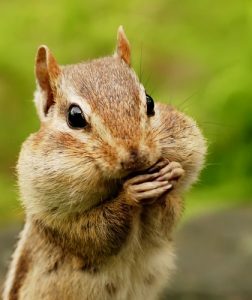 While chipmunk cheeks may be adorable in babies and young children, they tend to lose their cuteness factor as you grow older. A more angled and defined face is usually preferred by most adults. Chipmunk cheeks are common among people who have genetically round faces, and, unfortunately, when it comes to your facial shape and structure, your correction options are limited. If genetics is the reason for your rounded cheeks, you can’t simply change your diet and exercise routine to combat the size of your cheeks. Because of this, you may be left either trying to hide the roundness through elaborate makeup routines or by considering cosmetic surgery. If surgery is your choice, then buccal fat removal is your best option to remove the excess fat in the cheek area to slim and contour your facial profile. As the name suggests, a buccal fat removal procedure involves removing enlarged buccal fat pads from your cheeks. These natural pads of fat are found in the hollow area of the cheek, between the cheekbone and jawbone, deep in the face. This is a different type of fat than the subcutaneous fat of the face, which is a layer directly under the skin and is removed with liposuction. Buccal fat pads are discrete balls of fat, roughly the size of a small golf ball, that lie deeper in the face. However, these fat pads serve no real purpose, which makes buccal fat removal simple and safe. Because the fat is deep in the face, these fat pads are removed through a small incision inside the mouth. After the fat pads are removed the incisions are closed with dissolvable sutures, and you are ready to start your easy and fast recovery. You can expect soreness for a few days following the procedure, and swelling may take four to six weeks to subside fully. You will look very normal and non-surgical within four to five days, but it will take another month or so to see your final result. What Can Buccal Fat Removal Do for You? The purpose behind buccal fat removal is to contour, chisel, and define the cheekbones, as not everyone is born with high and pronounced cheeks. When the cheeks and mid face are naturally rounded, your face can appear heavier than it really is, and this heaviness (and the chipmunk cheeks they highlight) can create lasting feelings of insecurity. Additionally, chipmunk cheeks can make you look younger than your actual age. While no one wants to look older than they are, you also don’t want to look too much younger as this can hold you back in areas, such as the workplace. Many patients discover that after their procedure, they are left with a facial profile that is much more mature, sculpted, and defined. Dr. Taylor customizes your buccal fat removal to meet your needs and desires. During your consultation, you and Dr. Taylor will both decide how much of the buccal fat pad should be removed. Additionally, appropriate face-slimming procedures will be discussed at this consultation as well. If your chipmunk cheeks have worn out their welcome, consider contacting Dr. Thomas Taylor by calling (626) 577-7730 to schedule your consultation.